Warne identified the whole series of reactions following the Pandya and Rahul incident as ‘"ridiculous". 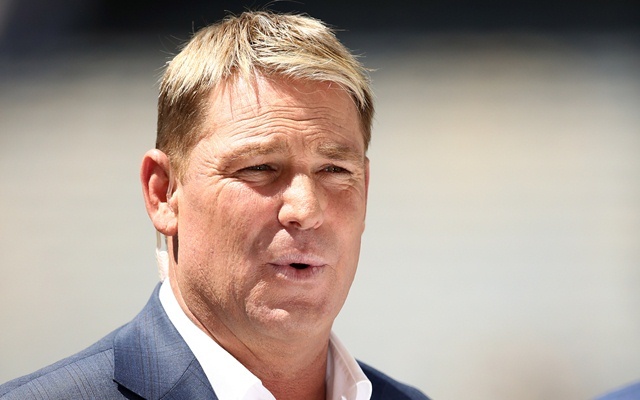 Shane Warne opened up about his views regarding the criticism that the Indian cricketer duo Hardik Pandya and KL Rahul received following their highly unpopular comments. The former Australian cricketer reprimanded the authorities for being overwhelming about political correctness over the controversy. Warne upbraided this system of being overly critical of cricketers. He went on to say that these are the things cricketers have to face all the time and this episode was just another example of the same. Warne identified the whole series of reactions following the Pandya and Rahul incident as ‘”ridiculous”. He has even solicited to everyone saying “let them be’”. The entire drama started when the aforementioned cricketer duo appeared on Karan Johar’s famous TV show, Koffee with Karan. Their sexist comments instilled rage and disapproval in people. Soon they were indefinitely banned by the BCCI, courtesy Diana Edulji. However, the ban has now been lifted until the next hearing in the Supreme Court. A new committee is to be appointed for the same. The players involved are now allowed to play. In the interim, Rahul has represented India A against England Lions and Hardik had flown to New Zealand midway for the limited-overs series. “Good lord. As I said, it’s all about political correctness these days. If a player steps out of line, everybody has an opinion and I thought that this particular thing was ridiculous. Just let them be,” Warne told Times of India. “We live in a world that’s increasingly becoming politically correct. And what we want to see from sportspersons is them being real. We want to see their emotions, see them playing with freedom, expressing themselves. We don’t want to see them conforming. For instance, most player interviews these days go like this: Question: Well, that was a fantastic result today. How do you feel? Answer: Well, it was a great team effort. Everybody played well and did their part. I’m just trying my best and happy to contribute to the team – That’s what everyone says. Guys have to get more real,” he added.